The Grailed gods have blessed us with a rare Raf Simons x Peter Saville parka from the Fall/Winter 2003 "Closer" collection. 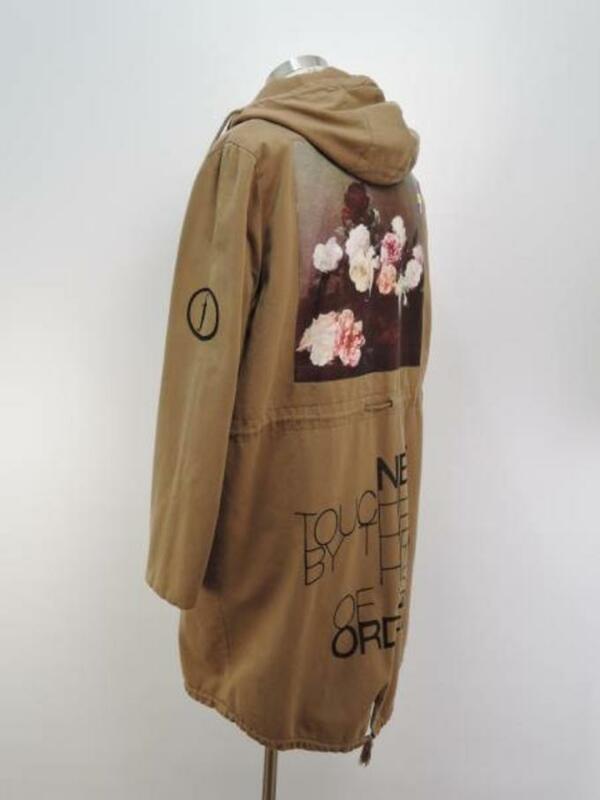 The parka features Saville&apos;s artwork, which Simons was given access to for his collection. The only thing is, it&apos;s on sale for $10,000. Did Travi$ Scott, who wore the same jacket in his "Antidote" video, have anything to do with the insane price tag? Maybe, maybe not—it&apos;s not surprising to see resellers ask for your arm and leg for rare archival pieces. If you&apos;ve got the cash, head to Grailed now to cop.